Jacob and Julia Bloch have a problem - several problems, in fact. While they've been coaxing Jacob's grandfather into a retirement home, bracing themselves for a family reunion, and struggling to keep their eldest son from being expelled, a discovery is made that risks destroying their marriage. As domestic crises multiply in the foreground, a global disaster is looming on the horizon. The Bloch family is collapsing and so is the Middle East where a catastrophic earthquake sets in motion a quickly escalating conflict - and every man, woman and child must decide where they will stand. 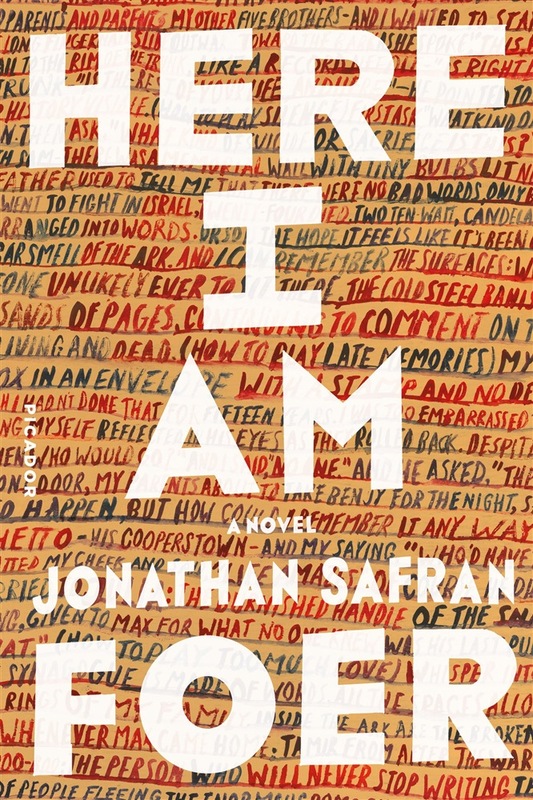 Here I Am marks an ambitious new departure for Jonathan Safran Foer, achieving extraordinary scope and emotional resonance while maintaining the trademark inventiveness and irreverence of his much-loved previous novels. Confronting the enduring question of what it means to be human, Here I Am is a great American novel for our times, a masterpiece about how we live now. 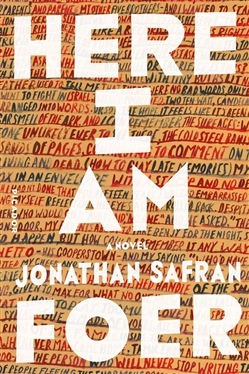 Dopo aver letto il libro Here I Am di Jonathan Safran Foer ti invitiamo a lasciarci una Recensione qui sotto: sarà utile agli utenti che non abbiano ancora letto questo libro e che vogliano avere delle opinioni altrui. L’opinione su di un libro è molto soggettiva e per questo leggere eventuali recensioni negative non ci dovrà frenare dall’acquisto, anzi dovrà spingerci ad acquistare il libro in fretta per poter dire la nostra ed eventualmente smentire quanto commentato da altri, contribuendo ad arricchire più possibile i commenti e dare sempre più spunti di confronto al pubblico online. The novel’s quilted and layered presentation includes texts and sexts; a “bible” for a screenplay; a memorandum from the Israeli Ministry of Defense to the prime minister; a long, comic masturbation passage involving aloe, shaving cream and rice pudding (surely an anxiety-of-influence throwdown against Philip Roth); a fragment of the screenplay that mirrors part of the novel’s disjointed narrative; a day-by-day semi-calendar tracing the political and military consequences of the earthquake; and so on.